How long have you worked at Campbell Books and what is your previous career history? 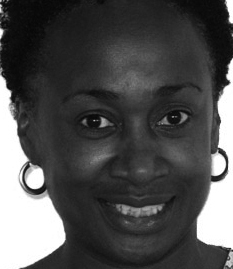 After graduating from Lanchester Polytechnic with a degree in Graphic Design, I had a few jobs in publishing (including working on gardening books and even in the marketing department of a company publishing medical journals) before I realised that children’s book design was where I wanted to be. I have worked with licensed characters such as Noddy, Dangermouse and Portland Bill, and then on fiction, non-fiction and novelty titles at Octopus. In the late eighties I went to the US for several years, working freelance in San Francisco on toy packaging, licensed characters such as Hello Kitty, and designing promotional plush and plastic toys. I moved back to the UK in 1992 and got a job with Penguin where I was lucky enough to work across most of the children’s list before moving to Act-Two, a children’s packager and custom magazine publisher. Whilst there I worked in a small team on a monthly interactive CD for 7-12 year olds, creating animated games and features. I joined Campbell Books in 2000 as Design Manager. 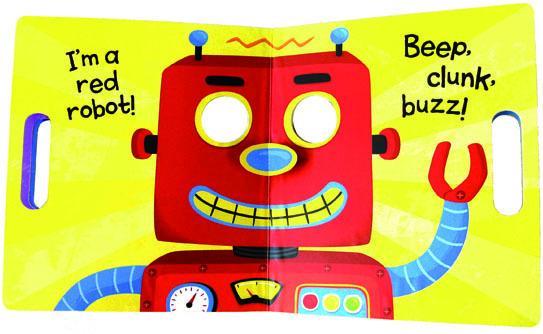 Campbell Books publish novelty and activity books for pre-schoolers (children up to 5). What makes this category so interesting to work in from a design point of view compared to the older age group categories? The novelty can play a huge role in informing the design of the book and I really enjoy the technicalities of making new novelties and ideas work, and then also making it work with the text. It’s a whole extra dimension that we sometimes have to steer our illustrators through. It can be very exciting as you are often producing a new novelty and won’t know for certain that your original concept works until the bound proof lands on your desk! Recently I have been working on a new book about the body, calledBoris’s Body, illustrated by Spike Gerrell. We have a lenticular image on the front cover. None of us had ever created a lenticular, so I did as much research as possible and crossed my fingers. Luckily when the sample lenticular arrived we were all very happy with it. Designed to ‘stimulate the senses and aid development’, Campbell Books are bright, bold and interactive. Talk us through the process of creating a series such as ‘Busy Books’, describing who is involved at each stage? Sometimes new projects come to us from outside the company, but a lot come from creative brainstorming sessions between editors and designers. The production department then help to make our ideas a reality, sourcing suppliers for elements like touch and feel textures or soundchips, and finding ways to make the books affordable. We often make a paper dummy to show people what we mean, and this can help, too, when we are presenting our ideas to the sales departments. The “editorial” – the text and narrative flow of the book – is obviously key, and the editor and designer work to ensure that everything (words, pictures and novelty) are going to work together. The designer briefs the illustrator with layouts, words and mocked-up mechanisms. I have even been known to make a small movie with a camera to show exactly how the mechanism or novelty works. The process after this point is both creative and logistical: roughs, revised roughs, artwork, sometimes revised artwork, always trying to make sure the project stays on track to meet its schedule. The cover is an important part of the process, too, and we always ensure that the main players in the children’s publishing team, including sales and marketing, are on board with our ideas, since the cover is the thing that forms people’s first impressions – whether they are a bookshop owner or a customer – so it’s vital to get these elements right! 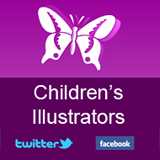 Tell us about some of the amazing illustrators you have worked with? 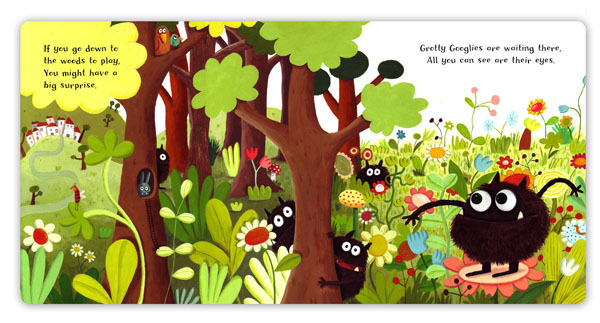 I have been very lucky to work with some fantastic illustrators – there are so many I could mention. When an idea comes together and everyone is in agreement about a particular illustrator you love, it’s perfection. I had this experience with Delphine Durand. Terrible Trolls was a book that needed an unusual illustration style which children would still respond to, and I just knew Delphine would be perfect for the project. The wonderful Ant Parker is always great to work with, too, from the brilliant Charlie Chick to his more recent magnet books, Muddle Races and Muddle Builders. Ant knows a lot about building projects, so he was very good at all the details from pouring cement to laying bricks! How has Campbell Books changed since its acquisition by Macmillan Children’s Books in 1995? 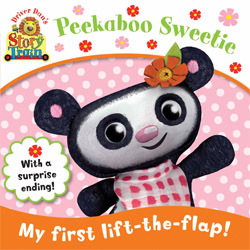 Our aim is still to publish the very best in preschool publishing, but of course a lot has changed over the years. For example, illustration styles, particularly as artists have embraced new technology. Computer-generated artwork has developed hugely, from pictures using very flat colour to pictures that might almost have been painted in the conventional manner with a pencil or paintbrush. In publishing terms, one recent development has been into licenced character publishing. Our very own Poppy Cat, created by Lara Jones, was first published by Campbell in 2003 and now she has an animated TV series, currently being broadcast on Nick Jnr. We will be publishing a range of TV tie-in books from next year, while our first TV acquisition, Driver Dan’s Story Train, continues to go from strength to strength. Rod Campbell believes that ‘a degree of physical involvement is crucial in drawing the child into books’. What are some of the key mechanics used to maintain a pre-reader’s interest (please give specific examples)? A good novelty can add excitement and interest for a young child. Even though the child may not be able to read the words, they can still get involved in the story. We try to make sure the story builds to end on something exciting, whether it is a pop-up, large fold out reveal, or a mirror. 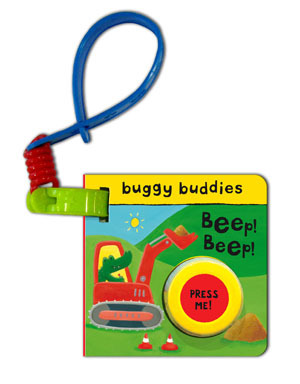 Soundchip Buggy Buddies illustrated by James Croft, was a series we published with different sound chips. 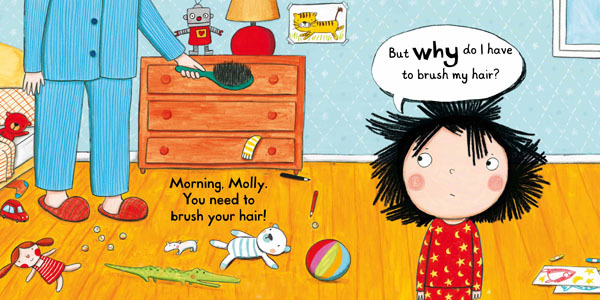 Coupled with the lively text and illustrations, the sounds are a good example to show how a child can really get involved in telling the story. 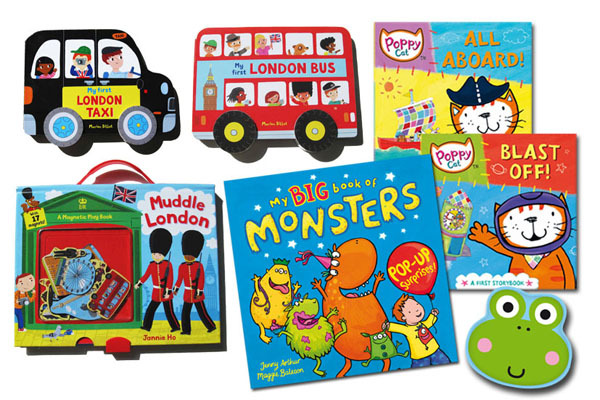 Our magnet series, the Muddle books, give children the opportunity to act out the story using their magnets, recreating scenes from the story, or even creating their own stories which is a great way of encouraging them to exercise their own imaginations. What would you say is the best idea for a novelty book you have ever seen and who or what did it originate from? There are so many! I’ve had a love of all things animation since my days at Act-Two, so I have to say that Gallop! by Rufus Butler Seder was the thing that most astonished me. Humour is a key ingredient within Campbell Books titles. Which project has made you laugh the most and why? Humour is always important. It can turn a very simple line of text into a whole world of possibilities. Richard Scary has always been an inspiration to me in terms of getting the most out of a situation. Ella Butler, Campbell’s Head of Design, came up with a very funny book called Why? which is publishing in 2012. Coupled with Natascha Rosenberg’s fabulous illustration, it is very, very funny. And seeing our Publishing Director demonstrating our new series of pop-out mask books (Funny Faces illustrated by Jannie Ho) made everybody laugh! From an artistic perspective, who or what has been your greatest inspiration? Artistically my greatest inspiration has always been the illustrators and other designers and editors that produce the fantastic books that are out there in the bookshops. Also, it can’t be helped that what moved you as a child has an influence later in life, so I am enjoying the retro look which seems to be in vogue at the moment. What exciting new projects will Campbell Books be releasing over the coming year? There are lots! I’ve already mentioned quite a few. Some other examples are the three books we are publishing about London, using two new artists on the Campbell list. Whizzy Wheels London Taxi andLondon Bus, illustrated by Marion Billet, and Muddle London, a book with magnets illustrated by Jannie Ho. They really do look fantastic. We have some great new bath books – some with squirters byLaila Hills, and some with squeakers by Fhiona Galloway. 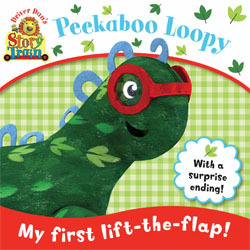 At the slightly older age group we have two greats novelty titles paper engineered by Maggie Bateson, My Big Book of Monsters illustrated by Jenny Arthur, and My Big Book of Ghosts illustrated by Kate Daubney – and also a beautiful first cloth book for babies illustrated by Jo Moon.